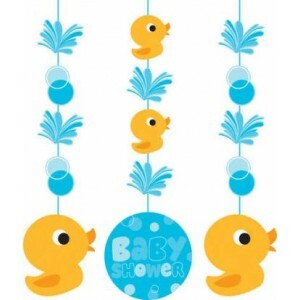 These lovely themed hanging decorations will really add those finishing touches to your Little Quack theme. 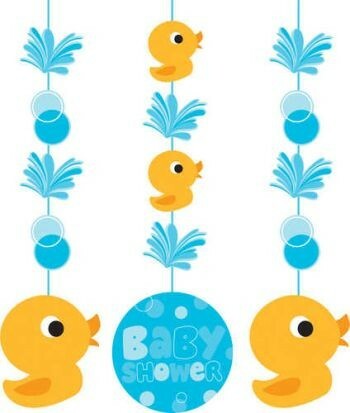 This is a pack of 3 card decorations, complete with fine string measuring 17.7cm (7in) when hanging. You could hang these from the ceiling, door frame, beam or stick onto a mirror.